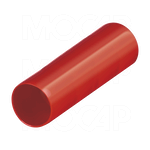 MOCAP manufactures grips in both round and flat rectangular styles. 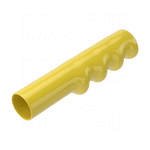 Round vinyl grips are available in traditional round straight wall style. Also available are finger nub versions of round vinyl grips. 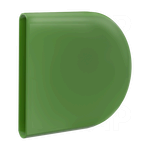 The vinyl dip moulding process produces flexible PVC grips and allows you to specify length, wall thickness, colour, surface texture, and material hardness with no additional tooling charges.